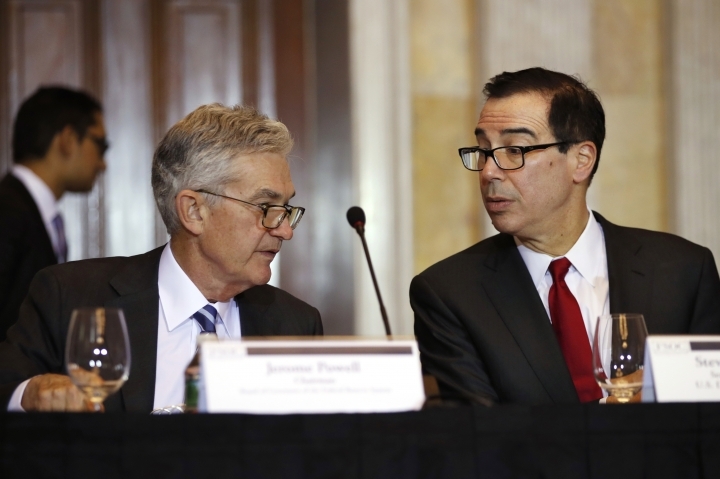 WASHINGTON — President Donald Trump is criticizing the Federal Reserve for raising interest rates too quickly. The recent increase in interest rates has spooked investors who fear higher borrowing costs could slow down the economy. Trump has blamed the market's big sell-off on rising rates and has described the Fed as being "out of control." Treasury Secretary Steven Mnuchin says Trump respects the independence of the Federal Reserve and simply favors low interest rates. Trump spoke during a Tuesday interview with "Trish Regan Primetime" on Fox Business Network. He says: "My biggest threat is the Fed." Trump says he knows the Fed is independent, but he thinks interest rates are rising too quickly.